We’ve compiled some of the best places to stay while you’re there, whether you want to be right in the hustle and bustle of the city center or in the serene rolling hills of the surrounding areas. Tuscany spans throughout 23,000 kilometers of Central Italy and is home to a population of more than 3.8 million people, known internationally for its rich cultural and artistic heritage. Cinque Terre, meaning “Five Lands,” is a beautiful area made up of five small towns situated along Italy’s western coast in the Liguria region. 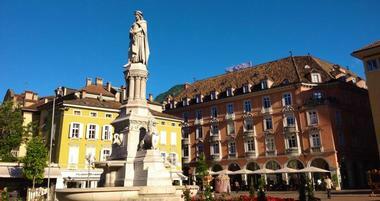 Bolzano is a special place that combines the spirits of both Northern Europe and the Mediterranean in a single city. The Dolomites have some of the most beautiful alpine landscapes in the world with sheer cliffs, vertical walls, narrow, long valleys, glaciers, mountain passes, pinnacles, steeples, and a rich diversity of alpine plants that thrive in this environment. Surrounded by the Mediterranean, the Adriatic and several smaller seas, Italy has a huge diversity of beaches that will satisfy even the most finicky of beach goers. Travelers to Italy generally have Rome, Venice, Milan, and the Amalfi Coast on their minds, but little attention is given to Naples. The historic center of Florence is fairly compact which means that most major attractions are within walking distance of each other. Tuscany is considered to be the birthplace site of the Italian Renaissance and has left a lasting impression on high culture throughout the world in the realms of gastronomy, art, and fashion. Italy is a beautiful country full of historical architecture, world-class museums, amazing restaurants, castles, monasteries, and natural wonders. Visitors come for iconic architecture, beautiful art, and a cultural heritage that has had a huge influence on the development of Western civilization. Italian food is popular nearly the world over, and in Italy you can experience true Italian food where it all started. Add to that some of the world’s best wine, and you have a culinary experience that is worth traveling halfway across the world to enjoy. Choose a destination to spend a week or two or, if you have a while, start in Venice and work your way down through Florence and Tuscany, then to Rome, the Amalfi Coast, and leave from Naples to experience the major highlights of Italy. The Amalfi Coast is a charming stretch of shoreline in Campania’s southwestern region. It is known for its spectacular beauty and cliff-side fishing villages. The azure blue water is flanked with a string of small but beautiful beaches, while the steep slopes leading down to the coast feature lemon tree orchards, beautifully colored terrace houses, and vineyards. Along the coastline you will find uniquely beautiful places such as Amalfi, Ravello, Sorrento, and famous Pompeii not far off. The roads are narrow and wind along the cliffs, offering stunning views of the surroundings and the gorgeous blue waters of the Mediterranean Sea. Anzio is a seaside city in Lazio, not far from Rome. The city is a fishing port and is popular among Romans as a place to come for seafood. The town is also a stopping point for those who wish to reach the islands of Ponza, Ventotene, and Palmarola as the ferries and hydroplanes to the islands originate from Anzio. The town was once the site of a number of villas owned by rich Italians. During World War II, the city saw a significant Allied landing, and several war memorials and cemeteries in the area are popular among tourists. Other attractions include the Anzio Beachhead Museum, the Archeological Museum and, of course, sitting by the seaside and enjoying a delicious plate of fresh seafood. Assisi is most famous as the home of St. Francis. The small, medieval town sits atop a hill in Umbria and is known for its arts, historical sites, and religious significance. Historical Assisi is best experienced on foot; however, it is quite hilly. You would be well suited to start your tour of the town at the top and see the historical sites on your way down. Along the way, you will see a number of interesting medieval houses and shops. The basilica of St. Francis is a central point in the city and a must-see. Visitors are permitted in the church but remember to be respectful of the many who come to worship. A number of fairs and special cultural events are held throughout the year, which offer an even deeper experience of the historical and cultural heritage you will find in Assisi. Castellina is one of the main towns in the region of Chianti. Located in-between Florence and Siena, the city is one of the best places for a tourist to base themselves while exploring Tuscany. The town is near other exciting stops, such as Castelnuovo or Greve in Chianti. In this area, getting to your destination is half of the experience, with panoramic, winding roads that traverse the scenic areas around Arbia, Pesa, and Elsa. You will find plenty of outdoor activities, parks, unique farm experiences, wine tastings, and awe-inspiring scenery just at your fingertips when you visit Castellina in Chianti. 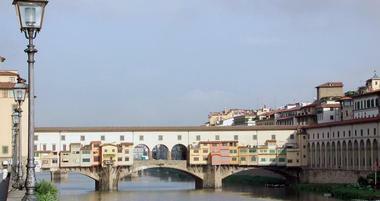 Florence is the iconic capital city of Tuscany and will capture your heart and your imagination. The city was the birthplace of the incredibly influential Italian Renaissance and is rich in artistic traditions and cultural treasures. A number of amazing museums are based in the city, with the Uffizi being the most well known, with its impressive collection of Renaissance paintings and sculptures. Other museums that are worth visiting include Bargello, Accademia Gallery, Pitti Palace, and the Gucci Museum. Some of Florence’s other treasures include the Santa Maria del Fiore cathedral, a number of churches, towers, palaces, gardens, shops, restaurants, and much more. Giardino di Ninfa, or the Garden of Ninfa, is a landscape garden in Cisterna di Latina in Italy’s central region. The park spans 260 acres with the landscape garden comprising 20 of those acres. The garden features the ruins of a medieval city amidst several ancient oaks, poplars, and cypresses. Exotic plants from all over the world appear in the gardens, as do other interesting plants and natural features. The garden has a unique quality, whereby picturesque ruins of churches, castles, clock towers, and other structures are all surrounded by beautiful plants. In order to preserve the delicate balance of the gardens, they are only open to the public for a limited number of days each year. Lago di Bolsena, or Lake Bolsena, is a lake in central Italy that formed in a volcanic crater. The lake is a true jewel, although it does lie a bit off of the typical tourist path. The lake is situated on an extinct volcano on the borders of Lazio and Tuscany and is known for having particularly clear water, clean sandy beaches, and schools of fish. The lakeside town of Bolsena is a beautiful destination with resort amenities. The town also has a well-known flower festival once a year. Activities on and around Lake Bolsena include fishing, boating, cycling, sailing, and horseback riding. Of course, if you just want to lay on the beach and enjoy the view, no one would blame you. Lago di Vico, or Lake Vico, is a crater lake in northern Lazio. Located at 510 meters above sea level, the lake is one of the highest lakes in the country, nestled in the Cimini Hills near the Venere and Fogliano mountains. It is protected as part of the Lake Zico Natural Reserve. The lake lies in the crater of an extinct volcano named the Vico volcano. The area is popular for its beautiful beech forest, which is rare to see at such a southerly latitude. The lake is ideal for swimming, diving, canoeing, and sailing in the summer but locals and tourists enjoy visiting the lake in winter as well. Lucca is a gorgeous Tuscan city set on the Serchio River. The city is known for its cobblestone streets and stunningly well-preserved Renaissance walls, which enclose the old city center. One of the best ways to enjoy Lucca is by walking along the city walls, which are topped with wide pathways lined with trees and are popular for cycling, walking, and jogging. Among a great wealth of historical sites is the Casa di Puccini, a museum that was the birthplace of the legendary opera composer, as well as a number of palaces, historic homes, gardens, and historic churches. Milan is Italy’s financial and business capital. It is the country’s second largest city and is surrounded by a large metropolitan area. The city suffered a significant amount of damage during World War II, so it lacks the historic charm that many other Italian cities are known for. However, the city has rebuilt itself as a cosmopolitan destination for those who enjoy shopping, nightlife, and culture. Known as the headquarters of Italian fashion, the entire fashion industry turns their eyes to the city twice a year for its fashion fairs. Underneath the shiny surface, Milan still has a number of important historical sites including the Duomo, one of the world’s largest Gothic cathedrals, the La Scala Opera House, the Pirelli tower, and much more. Cinque Terre is a collection of five small villages along the coast in Liguria. They are included on the list of UNESCO World Heritage Sites. Monterosso is the easiest of these to reach, and it is certainly the most touristy due to its ample tourist amenities, several large high-end hotels, and the only stretch of proper beach in the area. At one end of the beach stands a statue holding up a terrace, which is a popular photo op. The town is actually two small towns connected with a tunnel. Outside of enjoying the beach, other activities include shopping at the many boutique shops and indulging at a sea-side cafe. From Monterosso, you can reach the other villages either by train or by purchasing a special hiking pass and going on foot. Orvieto is a small city with dramatic stone walls sitting atop a rock cliff in Umbria. The Orvieto Cathedral, built in 1290, is prominent on the skyline and features a mosaic facade and a beautiful Pieta sculpture made from marble. Other attractions include the Pozzo di San Patriozio, which is a historic well with a spiral staircase built in the early half of the 1500s. The city has Etruscan roots, attested to by a vast cave network that lies underneath the city. Artifacts discovered in the network of caves and surrounding areas can be seen at the city’s National Archeological Museum. Ostia Antica was the site of the harbor city of Rome during ancient times. It once sat right on the sea at the mouth of the River Tiber, however due to silting, it is now approximately 3 km from the ocean. Today it is a large archeological site located nearby the modern Roman suburb of Ostia. The site is notable for having a particularly high number of well-preserved ancient buildings, mosaics, and frescoes. The area is also popular among Roman tourists in the summer, as it is one of the closest seaside towns to the capital and is easily accessible by rail from Rome. Pisa is the highlight of many itineraries in Tuscany, and is famous around the world for its iconic leaning tower. However, don’t let that lead you to think that the tower is the only thing to see in Pisa. The best way to see the sights is by walking the streets around the city center, as this is an enjoyable way to soak in the atmosphere of the city. There are four historical quarters and a variety of popular walking routes if you’d like to take a self-guided tour. Popular sights include the Duomo di Pisa, which is a Romanesque cathedral, the Piazza del Cavalieri, which is a small town square with a number of historic buildings, and the Museum of San Matteo, which houses significant artworks from the Tuscan Renaissance. Pompeii is a name known around the globe. This ancient Roman city was engulfed when the nearby volcano Mount Vesuvius erupted in AD 79. The town was covered in ash, killing everyone there. Today the city exists as an archeological site and outdoor museum dedicated to the famous ancient settlement and is also listed as a UNESCO World Heritage Site. It remains one of the few places in the world where an ancient city has been preserved in such amazing detail. A visit to Pompeii provides a unique opportunity to step into the lives and tragic demise of people who lived approximately 2,000 years ago. 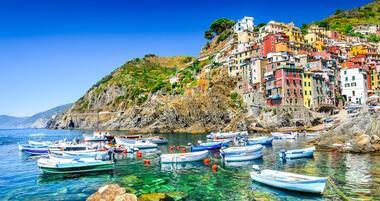 Riomaggiore is the southernmost of the five coastal villages that make up the Cinque Terre. The charming town has an ancient stone castello, of which very little is known. It was built as protection from the sea-faring attackers and features circular watch towers and stone walls. For a time, it was converted into a cemetery and now it is preserved as part of the Cinque Terre National Park. The main street is lined with cafes, bars, and restaurants as well as plenty of places to grab a gelato. Many people who stay in the town use it as a base for hikes in the surrounding hills. Rome is a massive city with a long history. It is the capital of Italy as well as the country’s largest city. As the famous headquarters of the ancient Roman Empire, one of the world’s greatest and most influential civilizations in all of history, the city’s historic center is a UNESCO World Heritage Site. You will find plenty to fill your time with a number of palaces, old churches, ancient ruins, beautiful fountains, and more. The city also offers a wealth of shopping and dining opportunities. One of the best ways to really experience Rome is to wander the streets, getting lost, and soaking in the sights and sounds of this wonderful capital city. San Gimignano is a Tuscan hill town near the city of Florence. The old part of the town is enclosed by 13th-century walls, while the city center is marked with a triangular-shaped city “square” lined with medieval homes. The town is known as the Town of Fine Towers and, true to its name, the city skyline is replete with dozens of tower houses. Outstanding examples of Gothic and Romanesque architecture can be seen throughout the city and include churches, secular buildings, and homes. The two main churches are the Collegiata and the Sant’Agostino, which has many pieces of art from the early Italian Renaissance. Sardinia is a large island just south of Corsica in the Tyrrhenian Sea, located between the Italian mainland and the Balearic Islands. The island has a wide range of attractions, but most visitors come to spend time in nature and enjoy the environment. 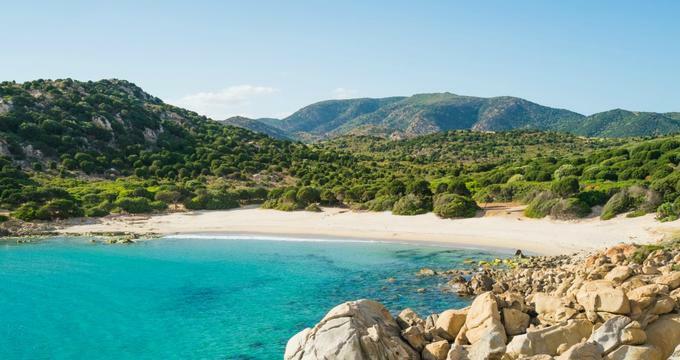 Nature lovers will be in awe at the islands, beaches, hills, and mountains that make up Sardinia. Locals and visitors alike flock to the beaches each summer, as they are both beautiful and numerous. However, the inland offers an equally rewarding experience and is often left alone by tourists. Mountain climbers would enjoy visiting the Dumusnovas area, which features attractive vertical limestone walls. Other popular activities include horseback riding, visiting monuments and cultural sites and, of course, eating delicious local food and drinking Ichnusa, the most popular beer in Sardinia. Sermoneta is a town in the hills of Latina in central Italy that is surrounded with stone walls. Popular attractions in Sermoneta include the Cathedral of Santa Maria Assunta, which is a 13th-century cathedral built in the Romanesque style. 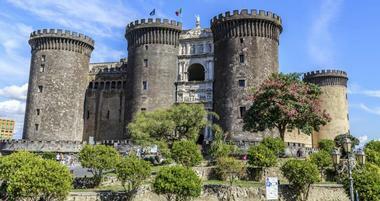 The town also has a huge castle, which was constructed by the Caetani family. Several famous people have lived in Sermoneta, including baroque painter Antonio Cavallucci, actress Elena Santarelli, and well-known humanist Aldo Manuzio. Other attractions worth checking out in the nearby area include the churches of San Michele and San Giuseppe and Valvisciolo Abbey. Sperlonga is a seaside town in Latina at approximately the halfway point between Naples and Rome. The city features a cluster of whitewashed houses perched together on a steep hillside overlooking the sea. The old town is small, easily walkable, and quite charming. The modern part of the town has well-developed amenities for tourists and a stretch of popular beaches. There are also beautiful beaches to the south of the old city, which happen to be less spoilt by tourists. The famous Emperor Tiberius owned a villa in the town and a modern museum in Sperlonga exhibits artifacts related to his residence. Tivoli is a town in Lazio in Central Italy just northeast of Rome. The town sits at the falls of the Aniene River in the Sabine Hills, and this vantage point ensures that a panoramic view of the Roman Campagna is possible at many points within the town. Throughout history, Roman elites have built summer villas and retreats in the area due to the more pleasant weather and close proximity to the capital. The two most famous of these are Villa d’Este and Hadrian’s Villa. The latter is of special interest as it was commissioned by the Emperor Hadrian and is larger than some entire towns, with numerous gardens, buildings, lakes, and other features. Tuscania is a small town in Viterbo that for many centuries was known as Toscanella. The town is not to be confused with the region of Tuscany, which is spelled Toscana in Italian. The town was significant in the Etruscan civilization and there are many tombs and sarcophagi in the area, attesting to this history. Artifacts from many of the tombs are on display at the Etruscan Museum. Walls and towers were built to fortify the town, most of which you can still see today. One of the most fascinating churches in the region, San Pietro, is located in Tuscania. This church has an incredibly interesting facade with a central rose window and some decidedly pagan decorations. The facade of the Romanesque church Santa Maria Maggiore also features similarly fanciful images. Venice, the capital city of northern Italy’s Veneto region, is set in a lagoon in the Adriatic Sea. The entire city was built on various small islands numbering more than 100, and is particularly enchanting because in many ways it hasn’t changed in the past 600 years. The city is easily walkable and there are few cars, which makes strolling through the streets particularly pleasant. The main part of Venice, the Realtine Islands, is the best place to start exploring. Water buses and water taxis are abundant and are a quicker way to get around the city. Among all of the interesting historic sites, a must-do for couples visiting Venice is a romantic gondola ride along the canals. Vernazza is the most northern town among the five villages of Cinque Terre. The town is small and colorful, with historical homes and a lovely harbor as well as a large castle, which looms over the charming fishing village. There are many historic sites and features in the town, which makes it easy to see why it is included on the list of UNESCO World Heritage Sites. Surrounding the village are several steep, terraced olive groves. The local olive growers produce some of the best olive oil in the world. Hiking from Vernazza to Moterosso is a popular activity for visitors, as the journey offers postcard-worthy views and is sure to be a memorable experience. Italy is one of the most popular vacation destinations in Europe. Whether you are interested in art, gourmet food, wine or relaxing on the beach, the country has something to offer for everyone since it is so diverse both in landscape and culture. 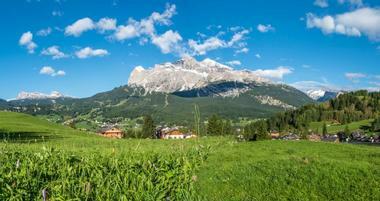 Italian Alps in the North are great for skiing in the winter and hiking in the summer. 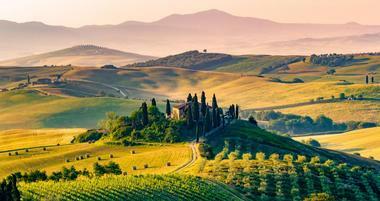 The central regions offer art, rolling Tuscan hills and regional food specialties. The south features warm weather, sunny beaches and laid-back atmosphere. Most major cities have an international airport, including Venice, Turin, Milan, Florence, Rome, Naples and Palermo. There are direct daily flights from North America to most of these airports. The country is well connected via high-speed trains with the rest of Europe. If you are visiting famous museum, such as the Vatican Museums in Rome or the Uffizi Gallery in Florence, book tickets ahead of time and save yourself a couple of hours of standing in line. You can order tickets for the Uffizi Gallery by phone at 011-39-55-294-883 (055-294-883 locally) Monday through Friday from 8 a.m. to 6:30 p.m. and Saturday from 8:30 a.m. to 12:30 p.m. When calling, keep in mind that Italy is 6 hours ahead of EST and 1 hour ahead of GMT. The best time to travel around the country is spring and fall because of mild temperatures and fewer crowds. 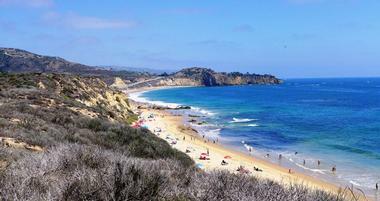 The coastline is a great summer destination. 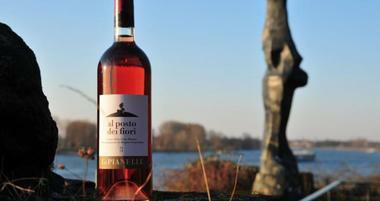 You should, however, book well in advance since summer time is a popular time for foreign visitors and Italians alike. The best way to travel between major Italian cities is by train. It is both efficient and affordable. You can search and purchase train tickets online at www.trenitalia.com. If you want to visit smaller villages and enjoy the Tuscan countryside, you will need to rent a car. Car rental is available near major airports (remember to book ahead of time). Domestic air service is operated by Alitalia and a few affiliated companies. Sardinia, Sicily and other islands can be reached by ferry. The weather varies from region to region. In general, the southern regions are warmer than the northern areas. The country is divided into 20 geographic regions with diverse climates. Spring is the best time to travel to Italy and experience the beauty of blossoms in the public and private gardens throughout the country. Although one can never completely avoid the crowds to major attractions, such as the Uffizi in Florence or the Sistine Chapel in Rome, museums are much less crowded than in the summer. In Florence, a visit to the Boboli Gardens rising high above the city is a special treat in the spring. 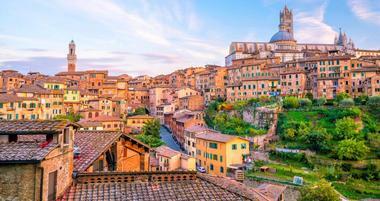 Combine a cultural visit to the Italian cities with a couple of relaxing days in the Italian countryside. Near Florence, Villa San Michele is located just six miles from the city center. There you can unwind and take in the wonderful aroma of the Tuscan gardens as they begin to bloom in the spring. Also in Tuscany, about one and a half hours from Florence, Fonteverde Spa is surrounded by splendid Italian gardens and a park. If you have a full week, try one of the European spa packages. Situated on the Tuscan coast, Il Pellicano also offers a spa, delicious cuisine, and spectacular views. In April, sign up for a cooking course and learn a few Mediterranean cooking secrets. Further south on the beautifulAmalfi Coas, Palazzo Avino is a perfect romantic getaway. 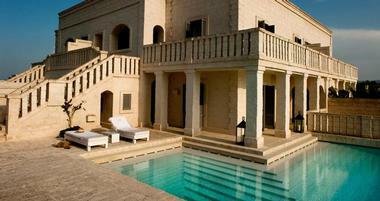 The hotel offers scenic views of the Italian coast and gourmet dining. Le Sirenuse, also located on the Amalfi Coast - in Positano - is famous for its spectacular views and great service. From there, take a quick trip to the island of Capri by hydrofoil. On Capri, Grand Hotel Quisisana and Capri Palace both offer gorgeous views, European spa treatments, and beautiful gardens. 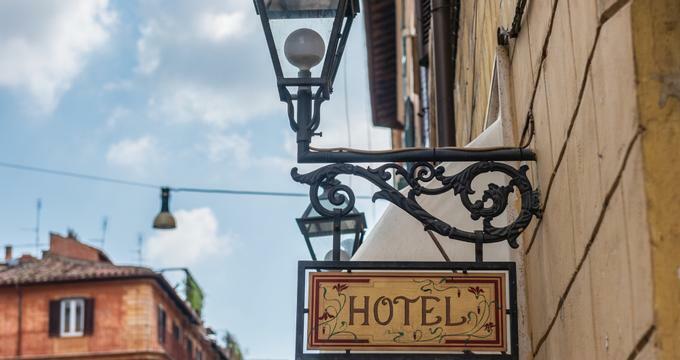 UNA Hotel Bologna is a boutique hotel located in front of the central train station, near the historic center and the trade fair center of the town. Designed by the architect Marco Piva, the property features dynamic architecture with an emphasis on glass and metallic materials. There are 93 rooms and 6 apartments decorated with aerial photos by George Steinmetz. Boutique rooms feature bright colors of orange, red, yellow and blue. For business travelers, the property offers Wi-Fi internet access in public spaces and broadband internet in the guest rooms. Special services include cardio machines and massage chairs. The bar and restaurant have an outdoor terrace with outdoor seating during the warm season. If you have to spend a night near the Milan airport, check into this stylish hotel. Located near the Malpensa Airport, the hotel is a modern facility with 11 floors, 160 rooms and 3 meeting rooms. Designed by the architect Renzo Costa, the it features futuristic design. Guest access to the rooms is via two panoramic lifts which offer great views as they speed up and down the 11 floors. All of the comfortable 160 guest rooms feature a sea motif reflected in the sail-like headboards and marble in the bathrooms which has been cut to look like waves. All rooms have high-speed internet access. Dine at the large restaurant and bar on the second floor. Black Murano glass hangs over the staircase in the restaurant. Best Weekend Getaways in the U.S.